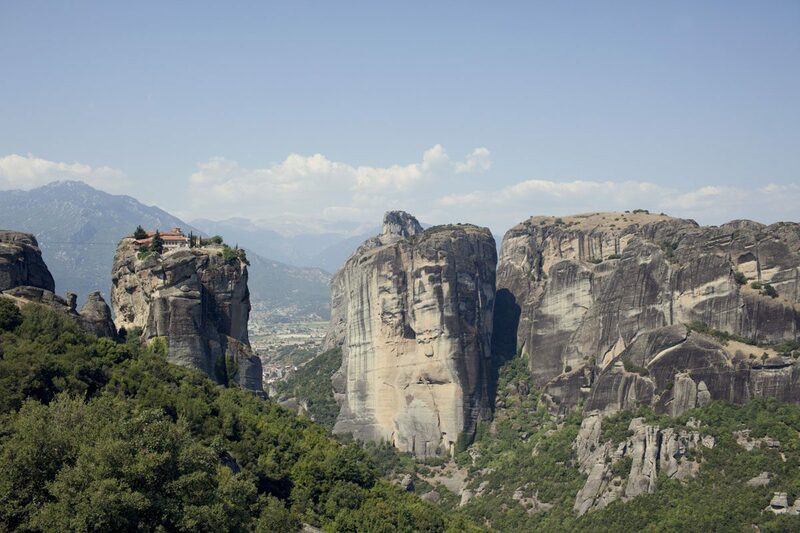 Welcome to the Meteora monasteries – Greece at its most magical. 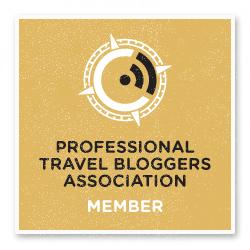 Meteora was one the places in Greece I liked best after visiting two years ago – check our Meteora sunset photo story to see why! 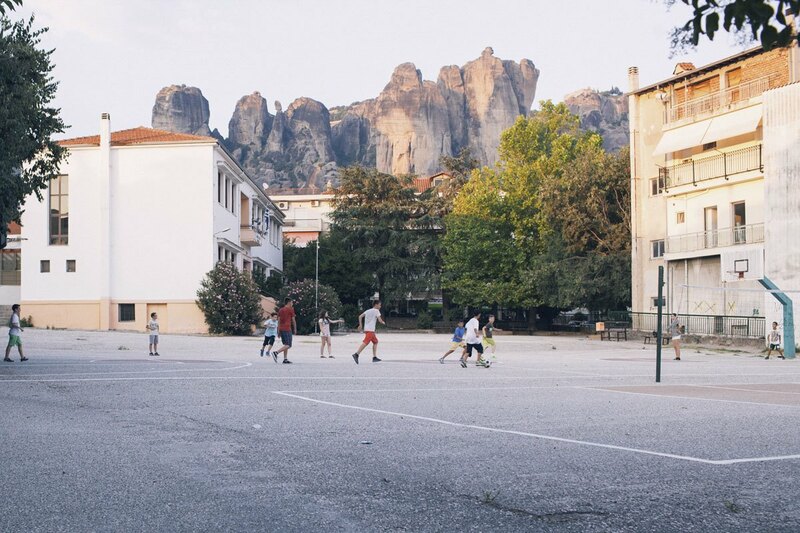 Here’s another Meteora photo essay, authored by my sister Caterina Ragg. 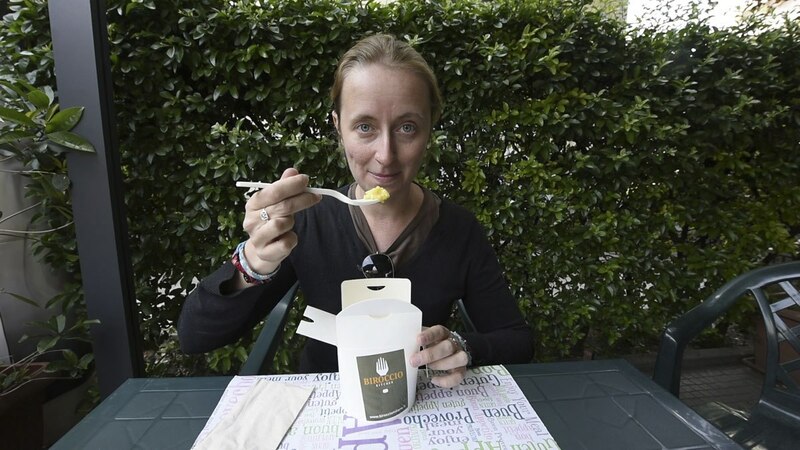 Similarly to her Train Stories post, this is an introspective travel tale – not your ordinary piece of travel writing. Follow Caterina on Instagram for more of her work! In human history, people have always tried to shorten distances. To fill the space between earth and sky – but it doesn’t matter how much faith or ambition we put into this challenge, the sky always seems unattainable. 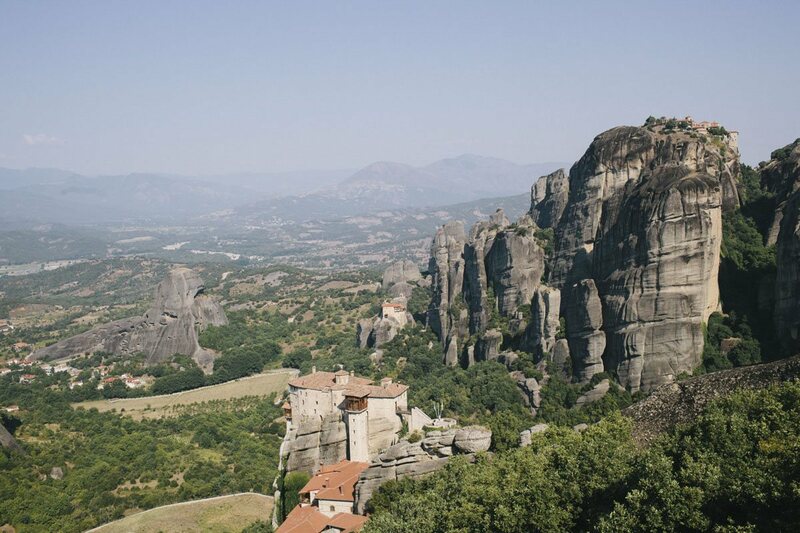 When early hermits moved to the holy pinnacles, the first stones were placed to make of Meteora a sanctuary where science is bypassed, and earth and sky are melted together. 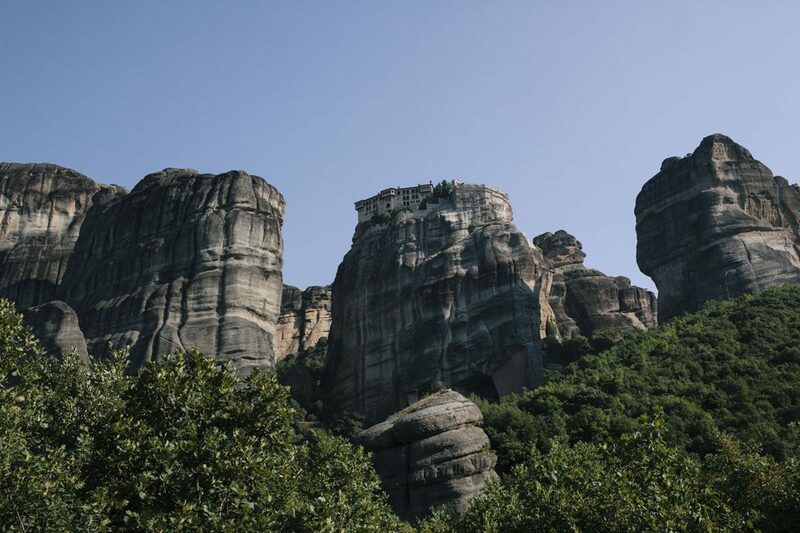 During the centuries the Meteora monasteries served as a place of solitude, worship and even refuge, turning an example of dedication into heritage and history. Due to the precarious position, the completion of a monastery could take not only decades, but centuries. 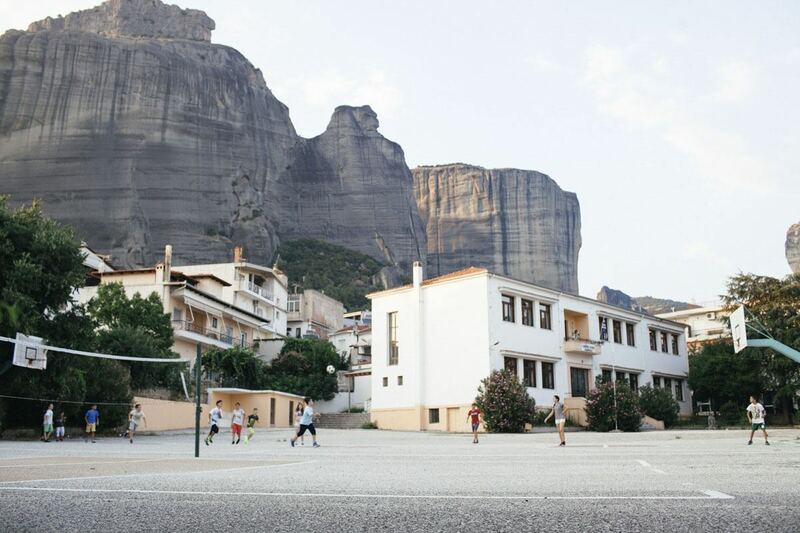 Meteora is more than a place. It is an idea. 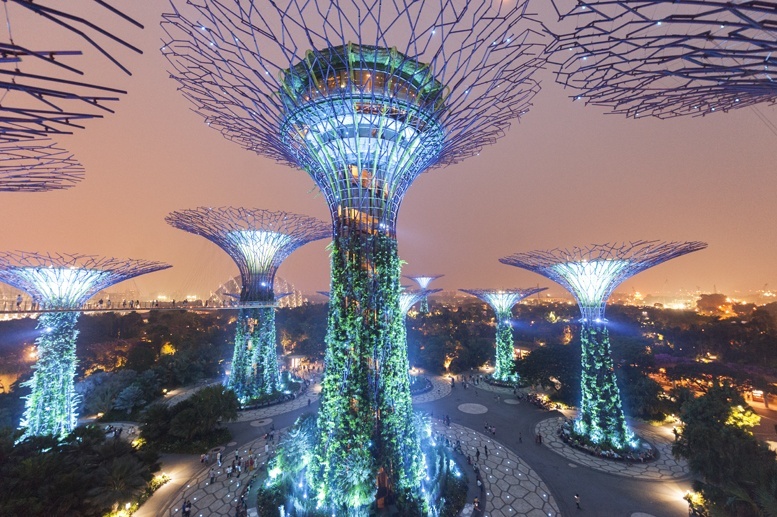 A place that it wasn’t conceived to be lived in the present, but in the future. An idea to be used by the generations that have not come yet. 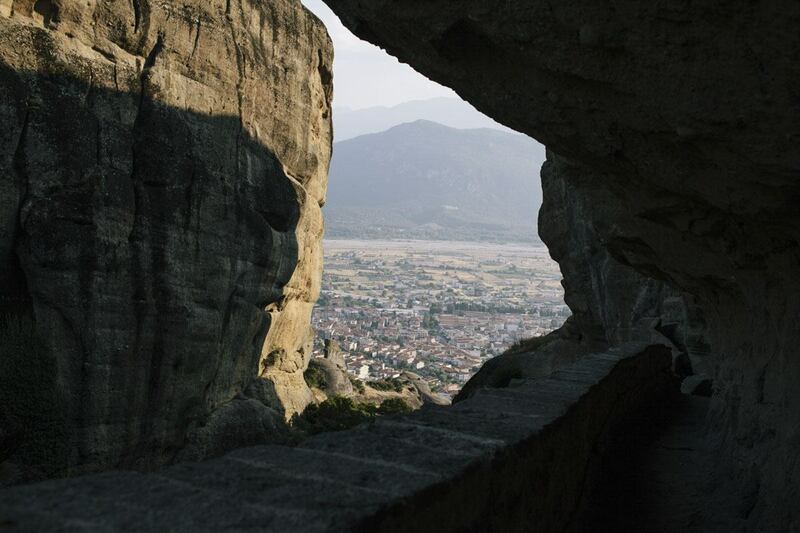 The first image of Meteora is captured from Kalambaka, a small town that started out as a Byzantin fortress, becoming the modern keeper of the monasteries. 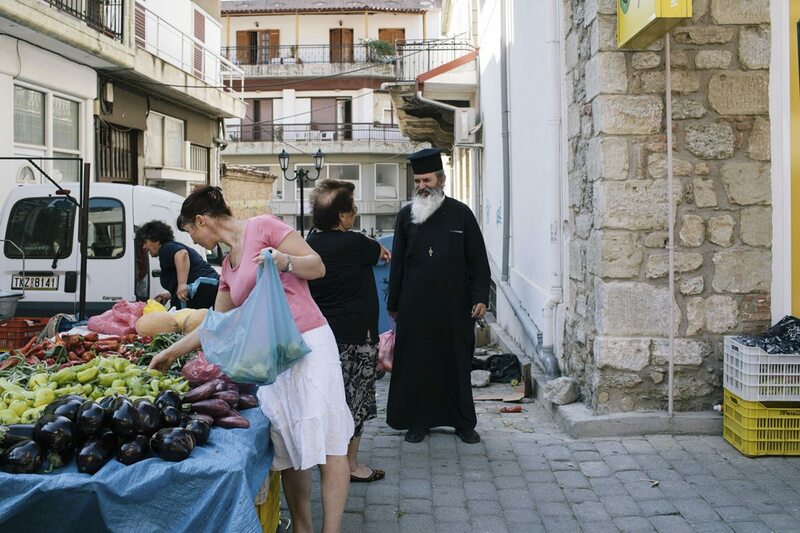 As everything around the town is the result of the combination of two elements, Kalambaka is the perfect fusion of ordinary and extra ordinary. The main identity of the town is based on tourism – hotels and restaurants are in plain sight for visitors. But between the sacrality of the pinnacles and the materiality of the economy there is a third, fascinating dimension. Scenes of daily life flow quietly, letting us imagine what it means to grow up and live suspended in the sky. Every house, road or playground is framed by the unusual skyline of the mountains. During the Saturday market, old ladies lay their baskets of onions, just to hold the hands of the monks, asking for a blessing. 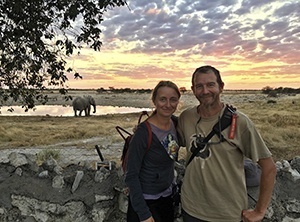 Most of the accommodations are run by families. We stayed at Alsos House, run by Yiannis, who seems to be able to speak every European language, and his family. 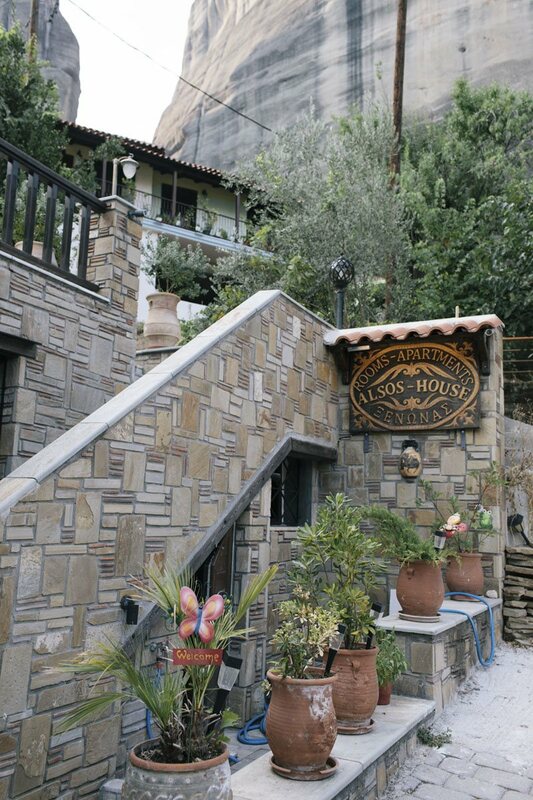 Alsos House is a very sweet and friendly place to stay. The rooms are clean and comfortable. Our room had a small private balcony, over the communal terrace from where it was impossible to not enjoy the night view. Breakfast is included, and it offers a selection of sweets, feta cheese and vegetables. 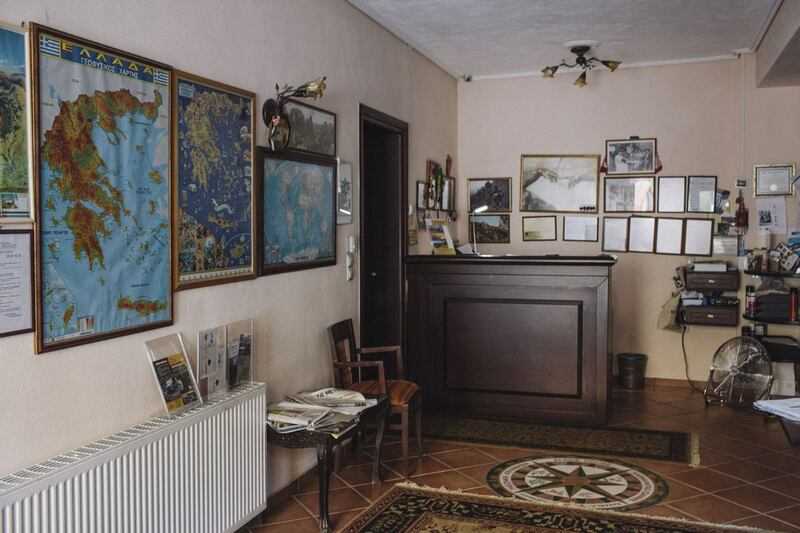 Yiannis and his family are very flexible and always willing to help and make you feel at home. 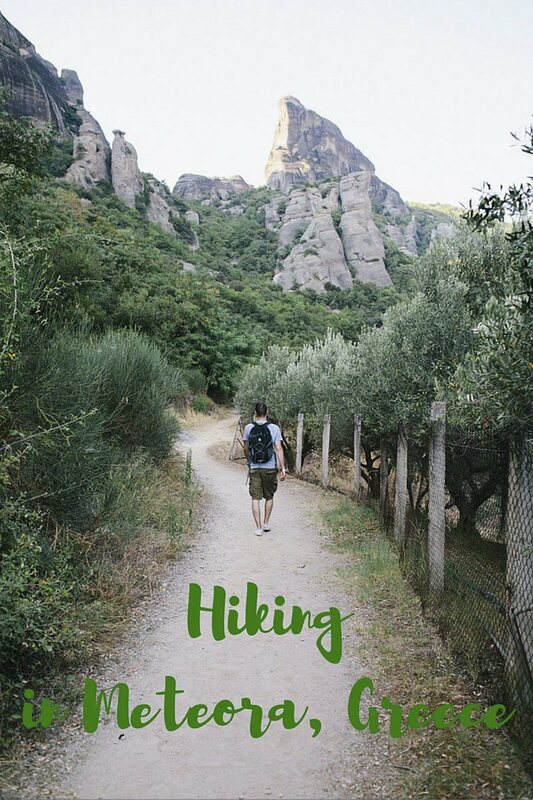 Alsos House is highly recommended not only for its warm atmosphere and proximity to the town center; a five minutes walk will also lead you to the beginning of the hiking trails to the Meteora monasteries. 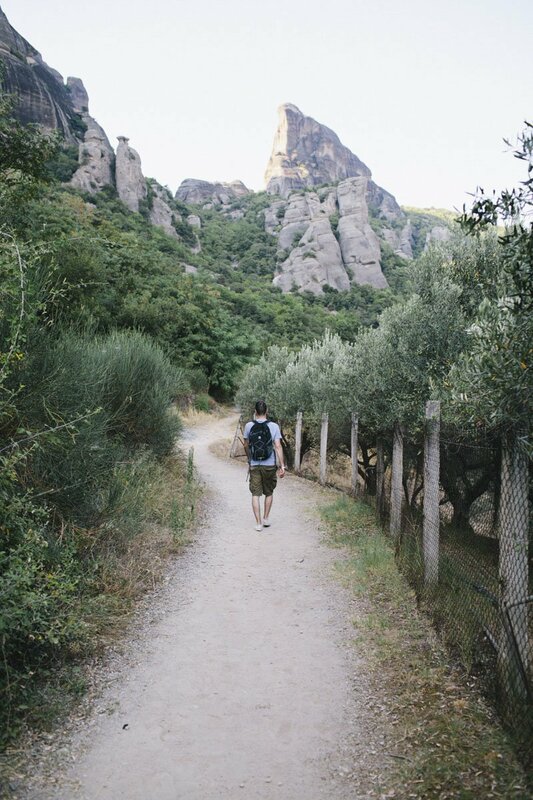 The trail will take you to the Monastery of the Holy Trinity, from where you can enjoy an amazing view of the sunset. 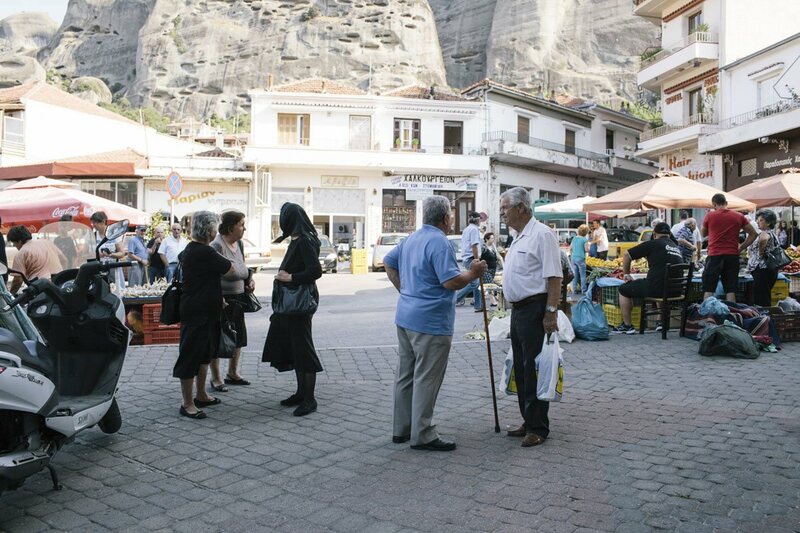 There are different options for the visitors looking for a way to explore Meteora – after spending a day exploring independently, we opted for a half-day tour with Visit Meteora. 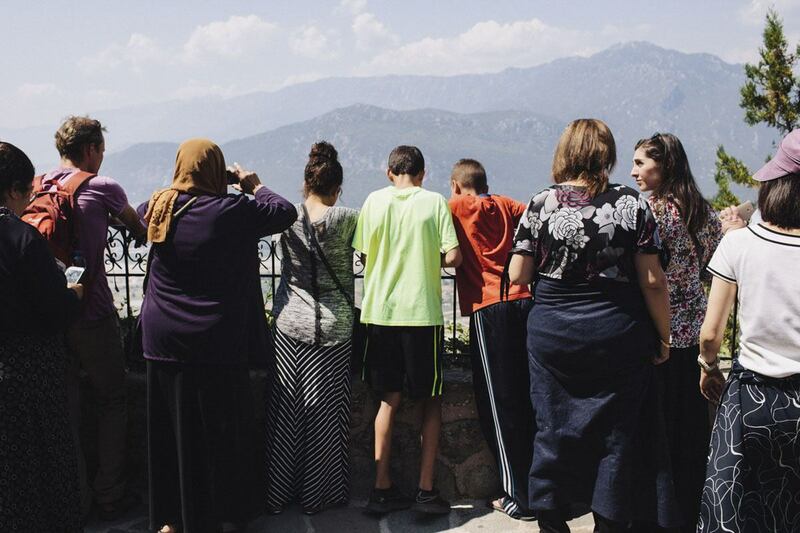 The tour is very well organised, guiding the visitor through amazing scenarios, from the best panoramic views to the inside and outside of the monasteries. The tour ends with a visit to the less known but not less impressive Theopetra Prehistoric Cave. 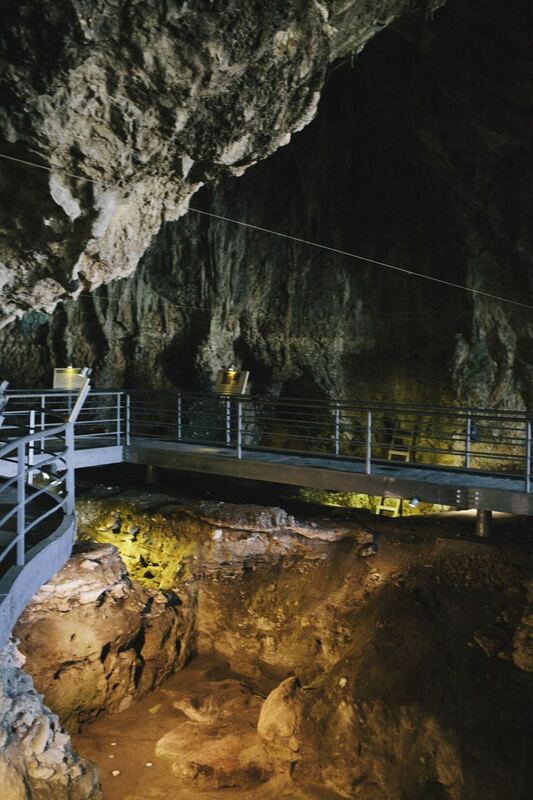 Visiting the cave will bring your imagination even further back in history. The cave preserved for 130.000 years the evidence of human life, such as footsteps nestled in the rock, or one of the most ancient wall that was ever built. After the Neanderthals, other populations left signs and evidence in the cave. Indeed, what attracted our ancestors was the perfect location of this place. Situated in the centre of a wide and flat valley, access to primary resources was supplied by the presence of a river that used to run through it. The view over the valley made of the cave a perfect observation point, and a cardinal place of connection. However, what made the cave so special wasn’t its functionality. On the other side of the valley, the mountain is divided in two parts. Between the two faces, a small pointy pinnacle stands high. During the year, there are a few moments when the sun stops exactly on top of the pinnacle. Many centuries before the construction of the monasteries, the first men perceived it as a holy sign. 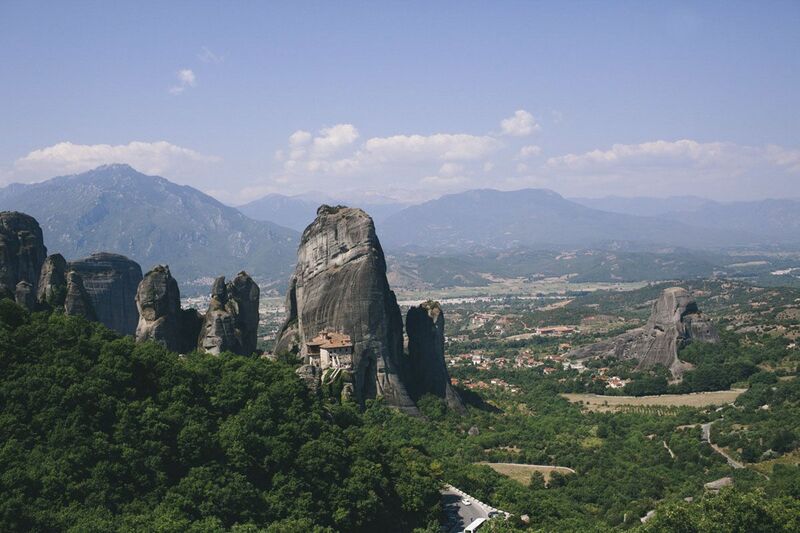 Long time before the birth of modern religions, a divine presence was felt by Meteora’s first inhabitants. The same presence that led hermits to the pinnacles, braving gravity and the elements. 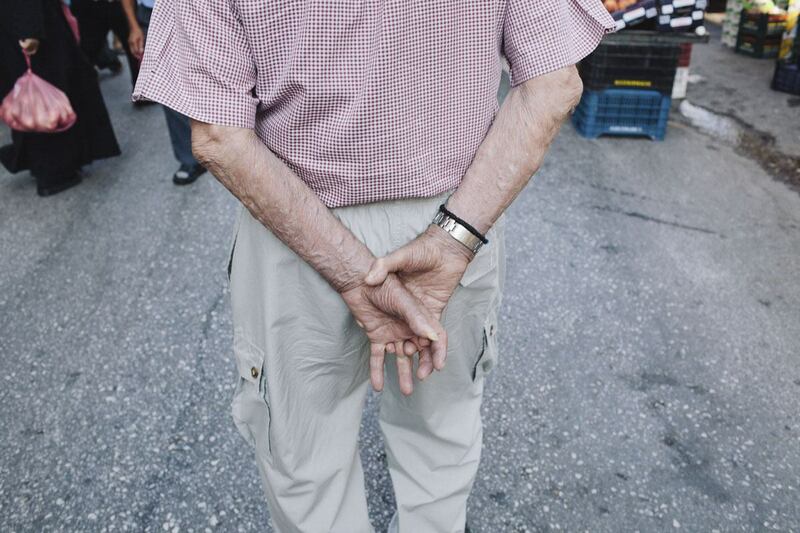 The same presence that survives behind the walls of the monasteries, and in the streets of Kalambaka. 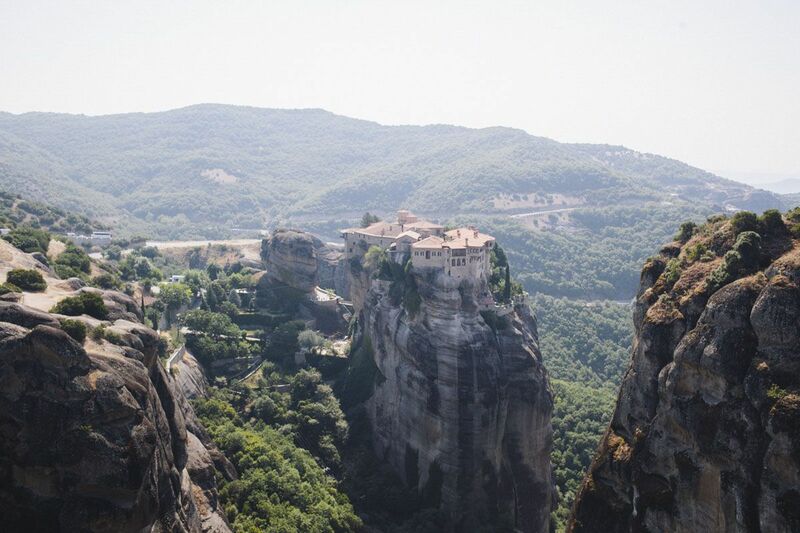 Even if it is far from most usual itineraries, Meteora is worth the trip – visiting the six monasteries and taking the chance to chat with the monks about their lives, gazing up to the vertical cliffs and having the impression of being in a different dimension, where nature and mankind complete each others. Meteora is suspended – not only in a physical dimension. It’s a meeting point, where the sky fits with the earth, the past is immortalised in the present, and spirituality lies untouched. 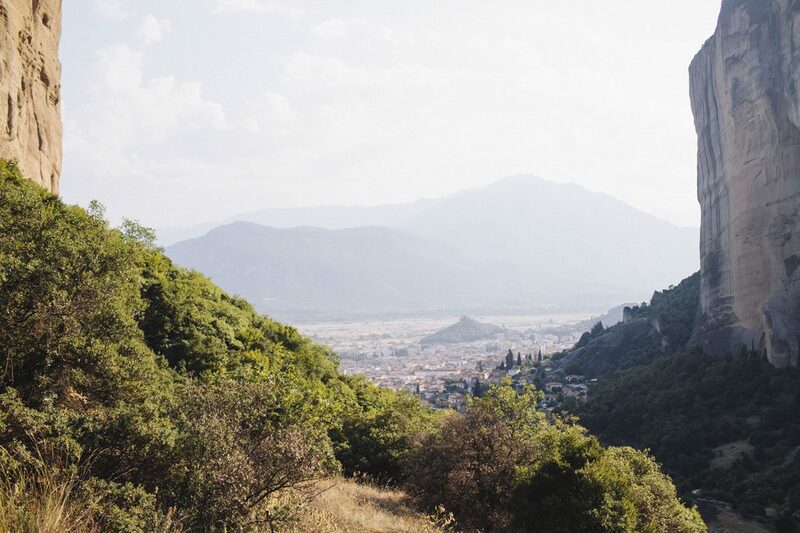 By Bus: there are 6 daily buses from Liosson Bus Station to Trikala, from where it’s easy to connect to Kalambaka. 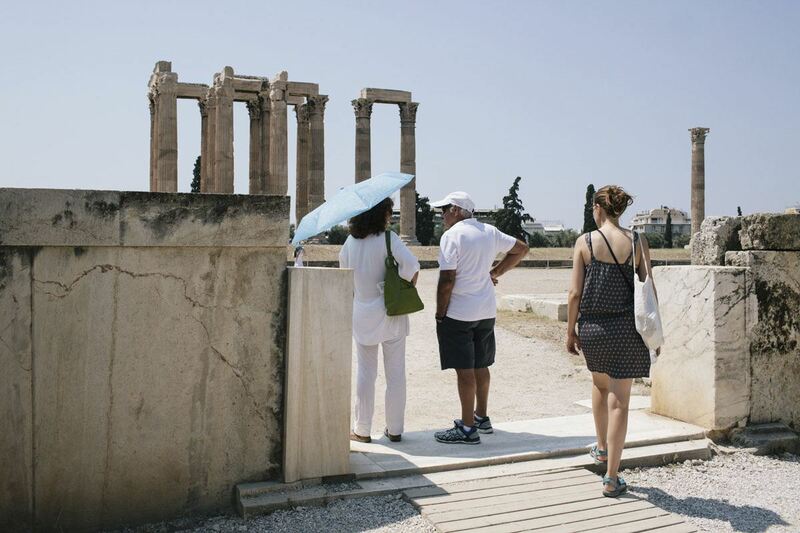 By Train: there is one daily direct train from Larissa station in Athens to Kalambaka, taking approximately 5 hours. Alternatively, you can connect in Paleofarsalos. 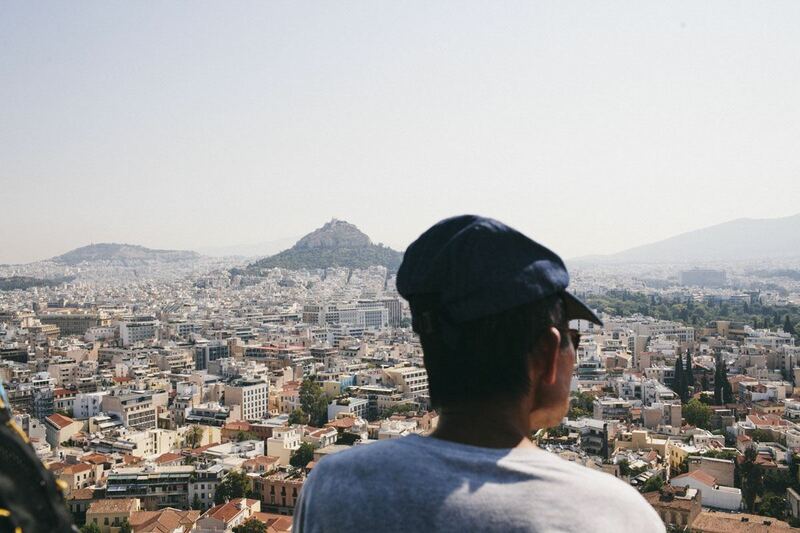 In Athens, we recommend staying at Athenstyle, an awesome boutique hostel a stone’s throw from Monastiraki. Here are the opening hours of the 6 Monasteries that are still inhabited. There are several more monasteries, abandoned or in ruins, that can be visited either independently (if you have a car) or with Visit Meteora tours. Check the Visit Meteora site for further info! Great Meteoron Monastery: open from 9 a.m. to 5 p.m, closed on Tuesday. Varlaam Monastery: open from 9 a.m. to 4 p.m, closed on Friday. Holy Trinity Monastery: open from 9 a.m. to 5 p.m, closed on Thursday. St Nikolaos Anapafsas Monastery: open from 9 a.m. to 3.30 p.m, closed on Friday. Roussanou Monastery: open from 9 a.m. to 2 p.m, closed on Wednesday. St Stephen’s Monastery: open from 9 a.m. to 1.30 p.m. and from 3.30 to 5.30 p.m, closed on Monday. 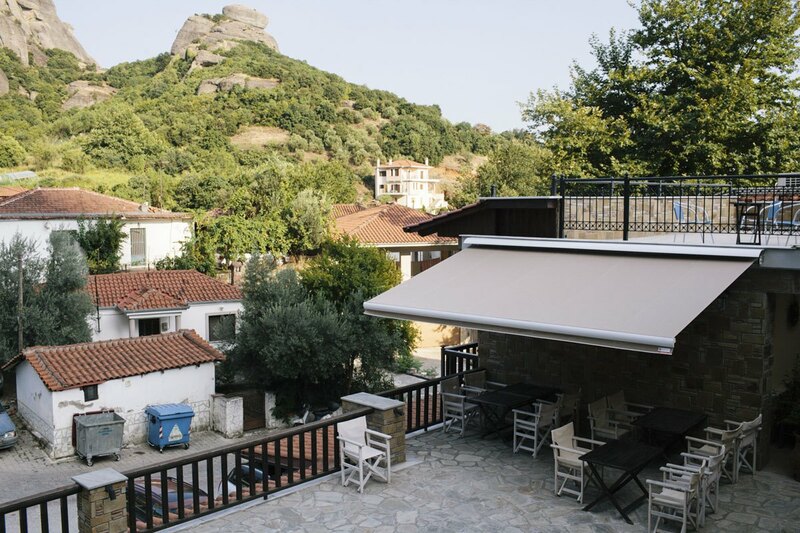 We would like to thank Alsos House and Visit Meteora for their kind hospitality. All opinions remain our own. 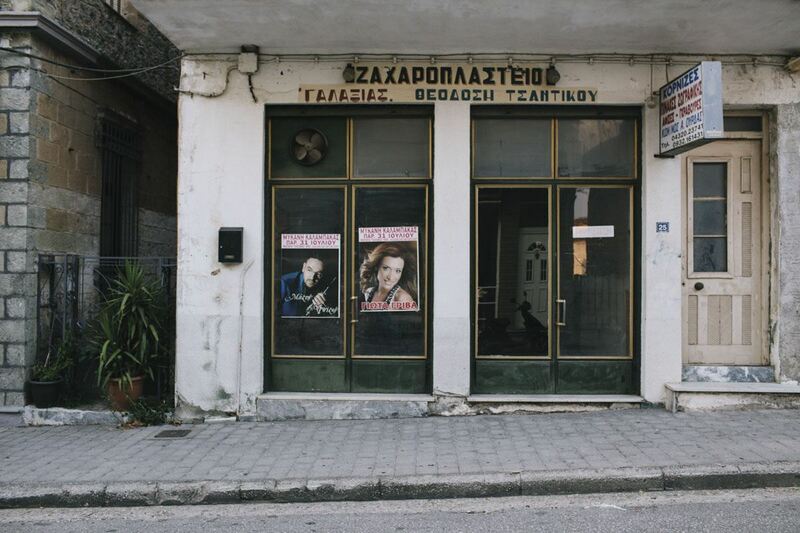 Kalambaka looks like an interesting area with lots of history over the eons. 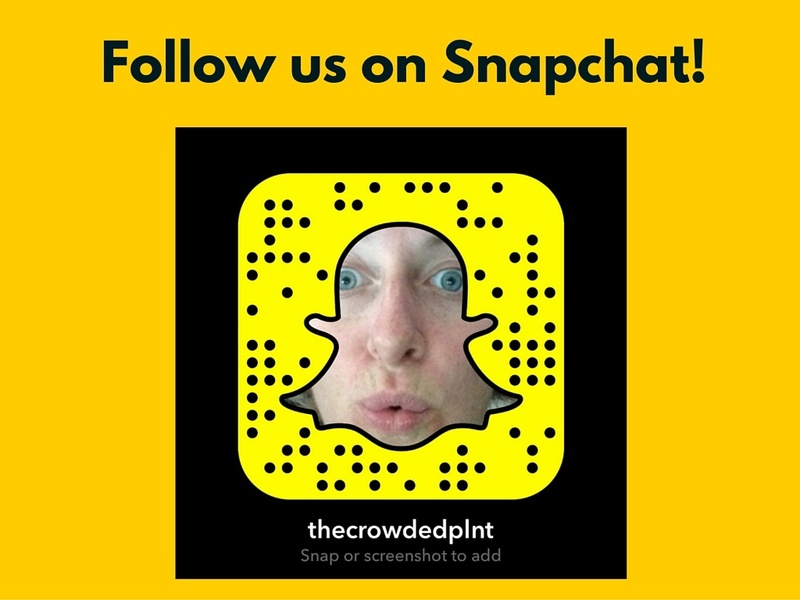 Your post is all encompassing and will be a first reference for me if I visit the area. Thanks Rhonda! 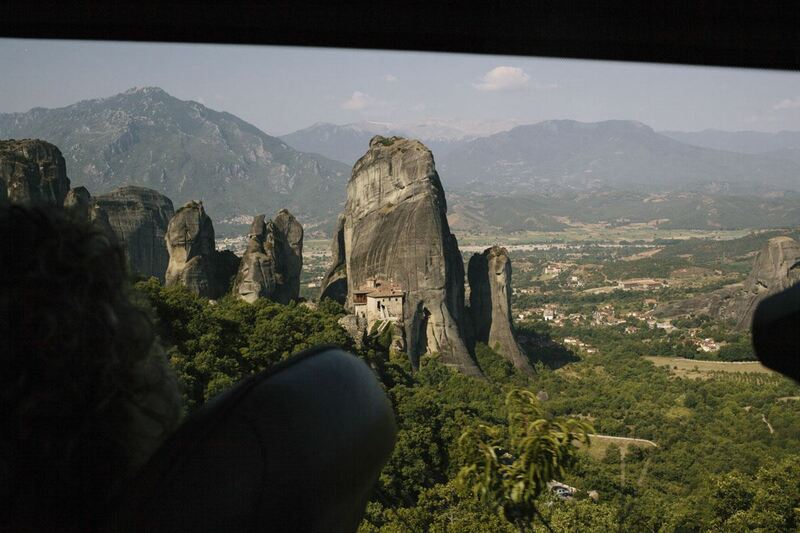 It was a really great adventure to visit Meteora. 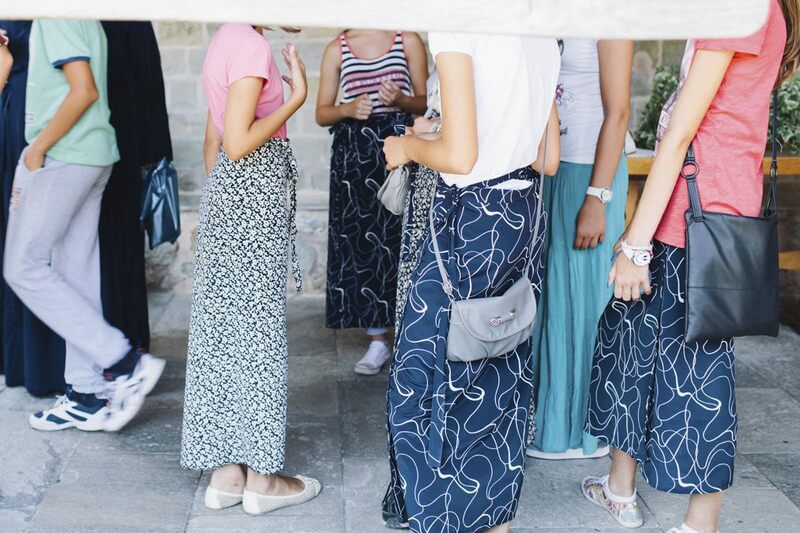 foto fantastiche: mi è sembrato di immergermi nella mia amata Grecia! The beauty of Meteora is really on a whole different level, isn’t it? Seeing those monasteries perched at the top of the rock pillars is really incredible. I had the chance to visit it during sunset and the view is just spectacular!